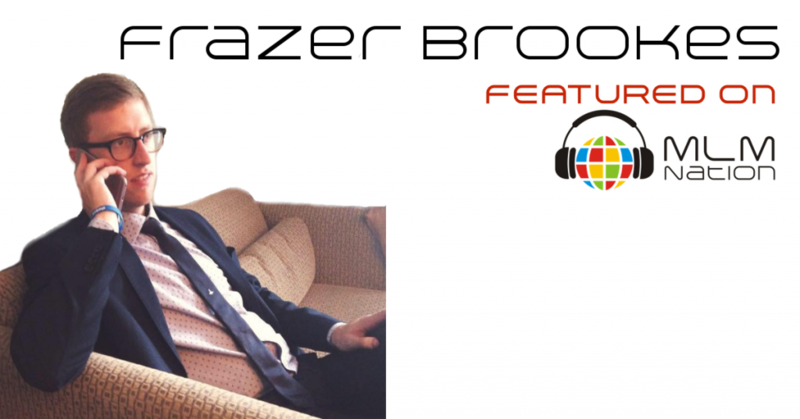 Frazer Brookes got kicked out of high school after his first year because he was too busy having fun and had only an 8% attendance rate. After he got expelled, he “panic found” another high school… basically any school that would take him and ended up studying construction management. He then went to University … and then 6 days before his final exam… guess what?… his father, none other than the MLM legend, Simon Brookes, introduced him to a MLM business. Frazer was super skeptical and thought he was too young but he decided to join anyway just to make a few bucks and also to make his dad happy. Since that big decision, Frazer has graduated and become a full time networker. He’s made a multiple six figure income and traveled to over 20 countries to build his global empire.